Topics>Fruit of the Spirit>How Can I Win Over Worry? No one will ever know how much energy the human race has wasted through worry. In our breakneck-paced culture, worry has reached emotional epidemic levels. We are the most anxious among all of God’s created beings. We have numerous phobias. Our diseases are often emotionally induced. We can trace many of our battles with common problems, such as insomnia, obesity, alcohol and drug addition, pessimism, and headaches to deep-seated unrest in our souls. What nervous, tense creatures we are! Surely God did not design our bodies to endure such self-imposed stress. Nor does this intensity represent the way His children should model His message of peace. Today, we want to think along scriptural guidelines as we rediscover a life characterized by rest instead of rush, calm instead of confusion, peace instead of panic, tranquility instead of turmoil. 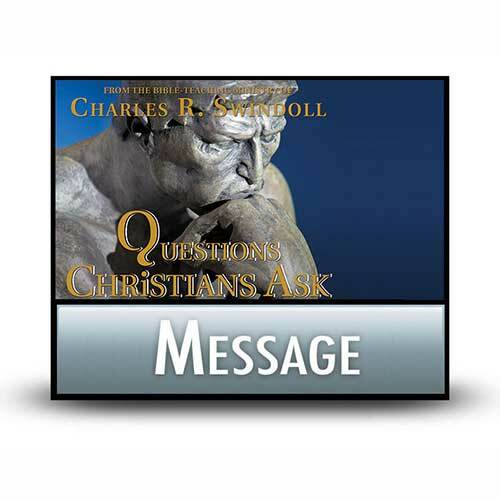 Copyright © 1984, ℗ 2013 by Charles R. Swindoll, Inc. All rights are reserved worldwide.